This posts explains how to set up an MVC5 application using Unity 3 and Semantic Logging (SLAB). Attribute Routing is used for the controllers. 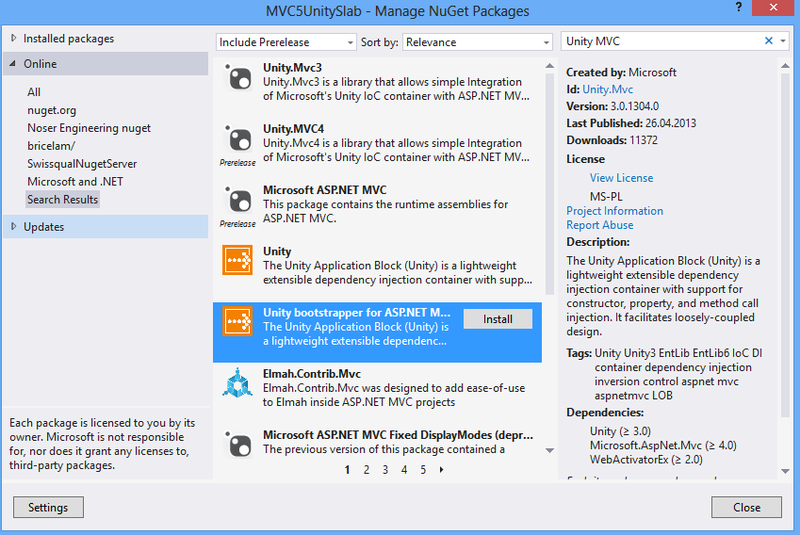 Add the NuGet packages to the MVC5 project. Now add the start up logic in the UnityConfig file in the App_Start folder. This start up configuration uses a scan method to search for interfaces and classes to be registered with unity. The scan method uses attributes to define the lifetime of each class. These attributes are applied to the different classes which are to be registered with the IoC. Now the business classes can be used in any controller. 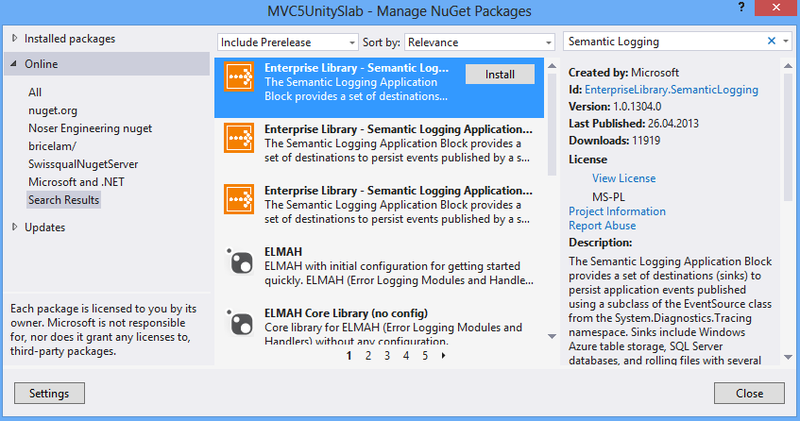 Add the Semantic logging NuGet package to the MVC5 project. Add an EventSource class and write some logs. Edit the SemanticLogging-svc.xml as required. Change the RouteConfig class in the App_Start folder. Add the MapMvcAttributeRoutes method and remove the old routing. Reblogged this on Crazy Developer. This is defined in the business assembly. For large projects, I define these attributes in a common utility class. Thanks damienbod for this article, I found below blog post about Unity.Mvc5 Library example with sample code.